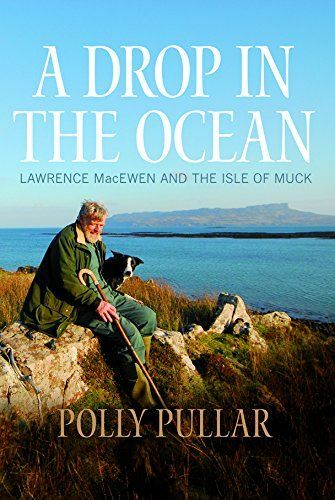 Polly Pullar tells the fascinating tale of one of the Hebrides unique thriving small communities through the colourful anecdotes of Lawrence MacEwen, whose family have owned the island since 1896. A wonderfully benevolent, and eccentric character, his passion and love for the island and its continuing success, has always been of the utmost importance. He has kept diaries all his life and delves deep into them, unveiling a uniquely human story, punctuated with liberal amounts of humour, as well as heart-rending tragedy, always dominated by the vagaries of the sea. Filled with fascinating and extraordinary tales and priceless observations, this is not only a highly entertaining read but is also an important part of Scottish social history. Part of our Scottish Island Biography selection for the summer.